The global poker league is on the card and it is expected to arrive at early 2016. The prestigious poker league will have total 12 teams or franchises looking to connect to this particular global poker world cup. The teams are as like: – Barcelona, London, Los Angeles, Las Vegas, Moscow, New York, Prague, Paris, Sao Paolo, Toronto and Hong Kong in an alphabetical order, all the teams would be decided anywhere in between Nov. 1st,2015 to January 20th,2016. As mentioned the global poker league will have 12 franchise and every franchises of the GPL will get top 3 world class players. The three players would be from the global 1,000 poker players, which seem to be quite fair for all the sporting franchise. 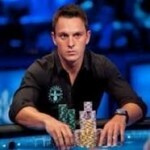 The teams will have the option to make two wild card entries to their top poker players. Each and every Poker league team will have 5 players roster to which they would get 3 players at the beginning of the game whereas they can choose 2 other players as their wildcard entrants. The wildcard entries are totally up to the teams. The pre global poker league regular session will see 12 weeks and twice weekly competition across online platforms. This is one of the most exciting and most challenging poker leagues for the world poker players, as they will be divided in 12 different teams. The players will have tremendous opportunity to learn and play the game. The cube to which the game would be played is simply awesome and it will be very exciting for a poker player to consist with it. After completing the first phase of the gaming, the post game competition would be played at 1st tier Sports Arena in the United States.